BRIGHTON Mich., - Ever wonder what the car of the future looks like? Well here it is, the new 2013 C-MAX Hybrid straight from Ford’s ingenious imagination. The 2013 C-MAX Hybrid is currently available to order at select dealerships and definitely worth the wait. 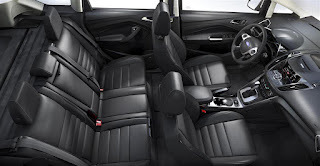 The C-MAX Hybrid’s design allows it to provide you with exactly what you need, before you even know that you needed it! Probably the most exciting invention that Ford has come out with lately is the new hands-free liftgate. You’ve most likely seen how it works in commercials but for those of you who haven’t then you’re in for a treat. If you have your Intelligent Access Key in your pocket or purse and you’re carrying a heavy load then all you have to do is swipe your foot under the bumper and your trunk will open for you! Ford also has the available rain-sensing wipers. Now you’ll never have to worry about making sure your windshield wipers are on when it starts to down pour or blizzard, because these wipers do it for you! The C-MAX Hybrid is so easy to use you’ll wonder how you ever got along without it. Even starting the car is made easier by just the push of a button. 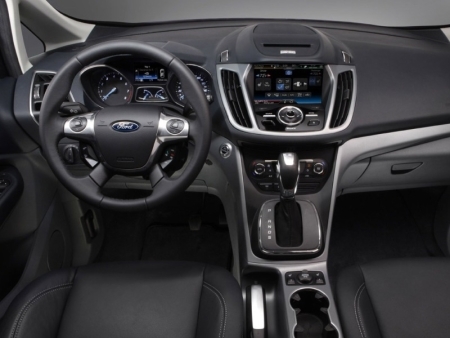 As if you weren’t impressed enough already, the C-MAX Hybrid has 7 airbags and an SOS Post-Crash Alert System, which will activate your emergency flashers and horn in the event that an accident occurs. Don’t worry though, you can deactivate it with your key fob should you choose to do so. Here at Ford, we think safety first. 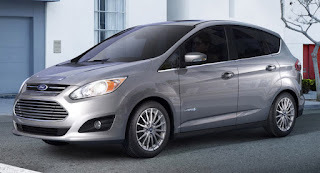 If you don’t think that the 2013 C-MAX Hybrid is your style then come see us today at Brighton Ford and find out which other types of cars fit your needs, or check our or Brighton Ford Inventory!